We interviewed our recent Cambridge CELTA course graduate, Keith Bedford, so that you can find out what doing the CELTA at Languages International is like and if it is the course for you. Why did you take the Cambridge CELTA teacher training course? I wanted to qualify myself for a career change. After completing a satisfying first career in science, I plan to contribute, in partnership with my wife, to teaching English in situations of need, primarily overseas. Why did you choose Languages International? I was advised that Languages International has a strong reputation for providing a rigorous Cambridge CELTA course with a high standard of input and high expectations of students in teaching practice. What was the CELTA course like? I found the course to be demanding and ‘full on’. It challenged my understanding of what I thought I knew about grammar and language. It required a paradigm shift from my previous presentation style as a subject-matter expert, which I anticipated at a ‘head level’ but was still a steep learning curve for me. The CELTA course tutors contributed to the input sessions, drawing from a wealth of experience. While they were always positive and encouraging to the teacher trainees on the course, they also challenged us to continually improve and practise the skills that we had been discussing. The small number of trainees on the course meant that the tutors were able to provide a significant level of individualised feedback and coaching on aspects of our teaching that we needed to work on. A highlight of the course for me was the interaction with a varied and interesting group of fellow teacher trainees, who shared experiences and perspectives drawn from a very wide range of life and teaching backgrounds. How has the CELTA course helped you? It has given me a different perspective on teaching – particularly in challenging me to be student-centred in teaching style. The course familiarised me with a varied ‘tool kit’ for teaching English to non-native-speaking learners. How do you intend to use the CELTA? I already have plans in motion to contribute to preparing students for further post-graduate study using English as the teaching medium, in Sri Lanka and Myanmar, with other countries in prospect. These students have obtained initial qualifications but require intensive language development to step up to cope with course work using academic English. In the meantime, I am working as a relieving teacher in a language school in NZ and expect to continue this between overseas stints. What has your post-CELTA teaching experience been like? Hugely rewarding as I have transitioned from focusing on acquiring teaching skills, to engaging with students and enjoying the lesson content. This is not to imply that I am not still on a steep learning curve as I gain experience, develop skills further and put what I have been taught into practice. Would you recommend the CELTA at Languages International to others? Who should take the Cambridge CELTA course? I would whole-heartedly recommend the Cambridge CELTA course at Languages International, albeit with the caution that all the talk about this being a full-on course that is all-consuming for the duration is true! I am an example that this course can be taken by prospective teachers of English who are not from an education sector background. 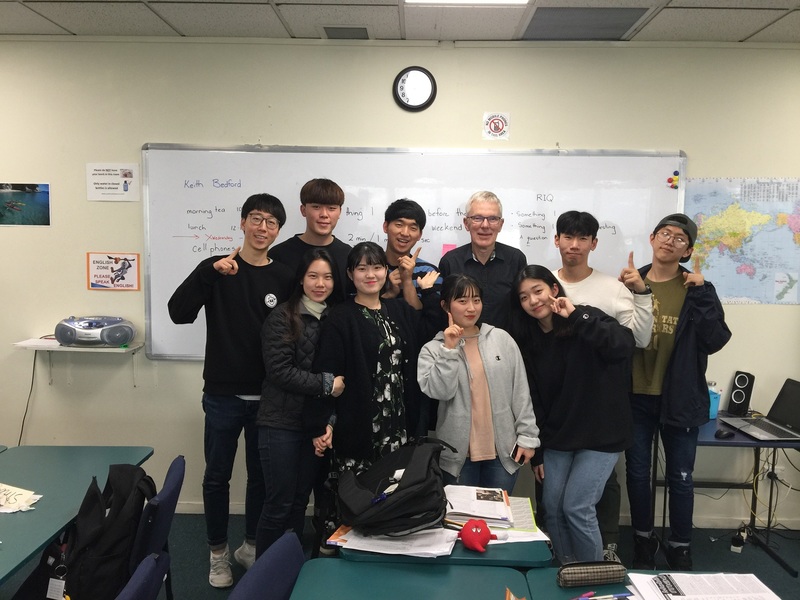 Keith Bedford is a CELTA graduate from Languages International in Auckland, New Zealand. What do other CELTA graduates say? Good to see you are putting your skills to use, Keith! It’s great when we see recent graduates at work in the classroom. At the end of the day, CELTA is a course that should be helping you get a job and follow your dreams. Go for it.